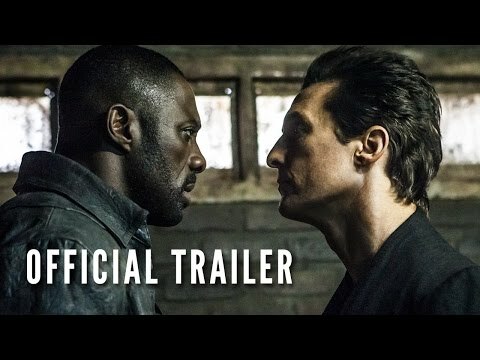 So you may have seen the trailer for The Gunslinger starring Idris Elba and Matthew McConaughey. For background, The Dark Tower is a series of eight books written by Stephen King that follows the last Gunslinger, Roland Deschaine, to find The Dark Tower and destroy the Man in Black. It combines fantasy, science fiction, horror and western. In short, it’s one badass series of books. The series was mainly inspired by the poem “Childe Roland to the Dark Tower Came” by Robert Browning. In the preface to the revised 2003 edition (which is the one I read) of the first book in the series, The Gunslinger, King also identifies The Lord of the Rings, Arthurian Legend, and The Good, the Bad and the Ugly as inspirations. He even stated that Clint Eastwood’s “Man with No Name” character as one of the major inspirations for Roland’s character. King’s style of location names in the series, such as Mid-World, and his development of the High Speech style of conversation are also influenced by J. R. R. Tolkien’s work. For those who want a series of fun easy-reads of insane storytelling to kick off the fall season of ‘hunker down and read’ vibes, this is a great one to subscribe to. With that said, these are not portrayals of amazing writing. There’s some ramblings, confusion of characters and a tell vs. show style of writing. But the stories are just fantastic. Stephen King’s imagination knows no bounds, and that’s what you should read them for. The opening sequence in the second novel alone is worth it. I read the first book in Riverside Park with a picnic and a bottle of rosé. I wouldn’t necessarily say that was the best pairing for the book, but it definitely was for the location. The second book was enjoyed with a much more appropriate beverage – rye whiskey. Why rye specifically? Because of the grit. There’s a bit of a bite to most ryes, and for those of you who know my Manhattan preferences, they also contribute to fabulous cocktails. In the United States, “rye whiskey” is, by law, made from a mash of at least 51 percent rye. (The other ingredients of the mash are usually corn and malted barley.) It’s distilled to no more than 160 U.S. proof (80% abv), and aged in charred, new oak barrels. The whiskey must be put into such barrels at not more than 125 proof (62.5% abv). Rye whiskey that has been so aged for at least two years and has not been blended with other spirits may be further designated as “straight”, as in “straight rye whiskey”. Feel free to drop those fun facts into conversation at your next party. With this book, I would suggest the ever-fantastic Whistle Pig 10-year-old rye whiskey. The details: Whistle Pig is an award-winning 100% rye whisk(e)y created by Maker’s Mark’s former master distiller, Dave Pickerell. Distilled and initially aged in Canada, before years of further ageing at WhistlePig farm in Vermont, this is, as owner Raj Bhakta puts it, ‘a Canadian-US collaboration to the core’. Pour it into a rocks glass, add just a teensy bit of water or drink it neat for to truly relish that bite at the end. While you read – and sip – you’ll feel right there traipsing the desert next to Roland, the last Gunslinger.